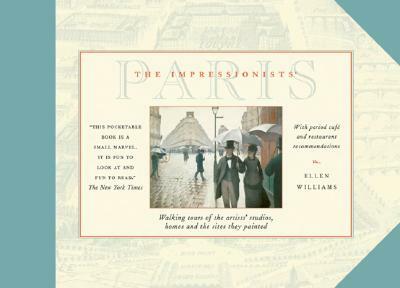 The Impressionists’ Paris by Ellen Williams (The Little Bookroom, 1997) is a wonderful little travel guide for art lovers in Paris. It offers three separate walking tours of some of the Impressionists’ art studios, homes and painting sites. The first walk in the book takes you to the area around the Louvre and the Seine, over bridges known as Le Pont Neuf or Le Pont Des Arts to the Left Bank area near L’Ecole des Beaux Arts. The young Impressionists would have spent much of their time in this area in the 1860’s, honing their skills by copying the paintings and sculpture inside the Louvre, and by studying under established artists at various ateliers in the city. 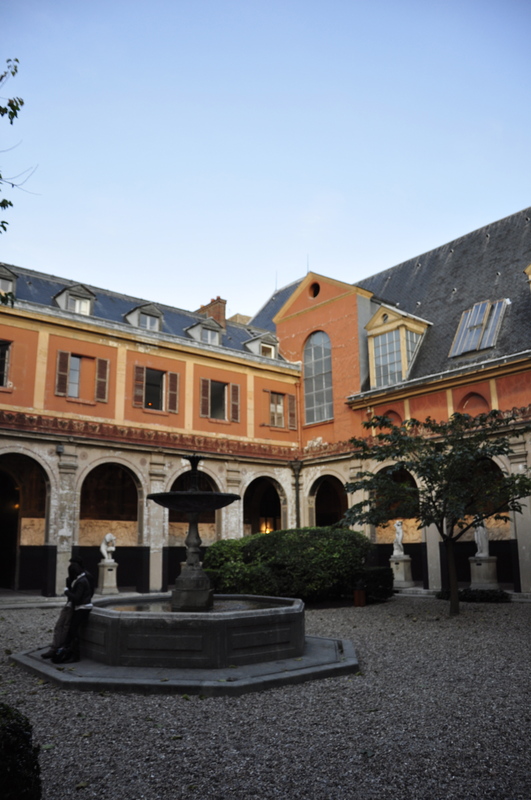 If you were male (women were not accepted until 1897, and only then after years of bitter disputes) you hoped to be admitted to the finest art school in Paris, L’Ecole des Beaux Arts. 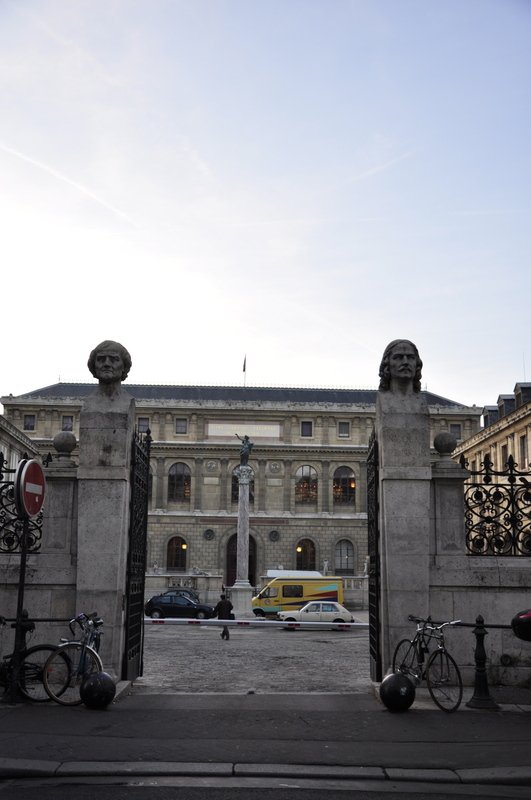 Unlike the female artists of the Impressionist era, I was able to walk right through the gates of L’Ecole des Beaux Arts. 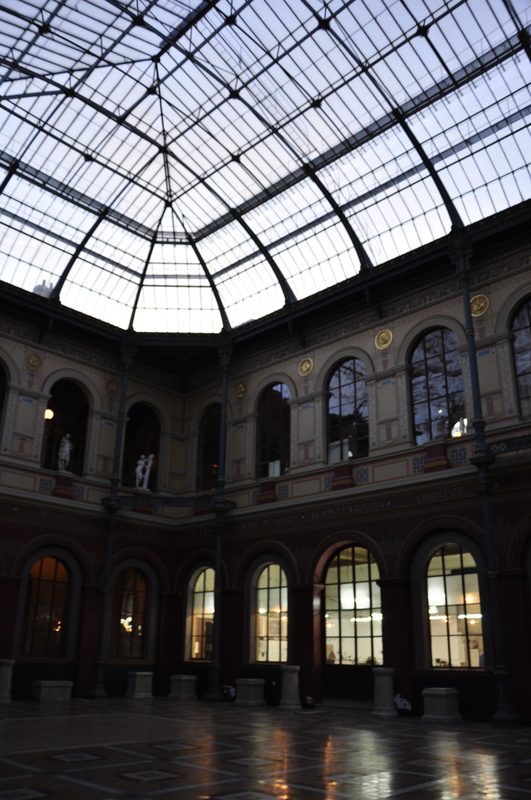 I was overwhelmed by its impressive surroundings, from the outdoor courtyard to a massive interior hall with a glass ceiling. There were several printmaking classes underway at the time of my visit, and the air smelled of ink and paint thinner, the happy scent of art in the making. 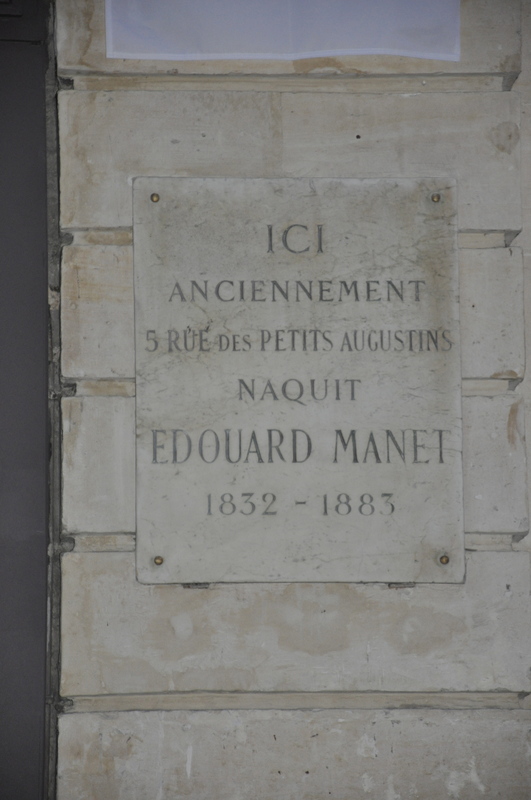 Just across the street a few doors north of the entrance to L’Ecole des Beaux Arts is the birthplace of Edouard Manet, which is commemorated with a historical plaque (the street was known as rue des Petits Augustins until Napoleon III renamed it in 1852). Manet is recognized as the leader of the Impressionists. When you see where he lived, you understand how he grew up completely surrounded by art. 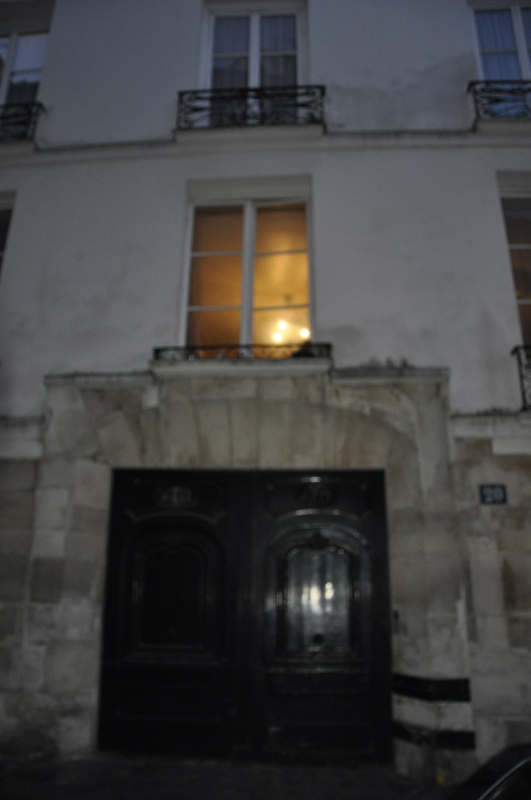 The next stop on the walking tour is the studio of Frederic Bazille at 20 rue Visconti, just a block away from L’Ecole des Beaux Arts. In 1867, Bazille invited his friends Auguste Renoir and Claude Monet to paint with him in his studio. It has been immortalized in such paintings as Bazille’s The Artist’s Studio, Rue Visconti, Paris, 1867. 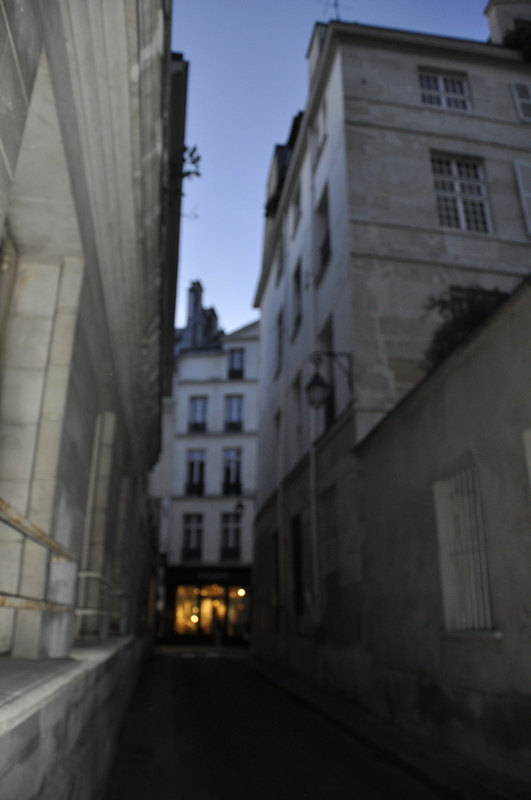 Walking down this old narrow street in the fading afternoon light made me feel like there might have been a few friendly ghosts at my side. 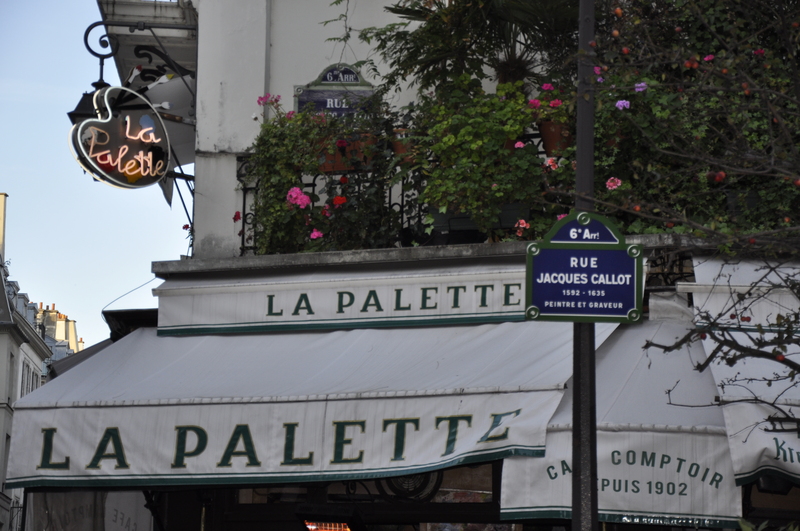 And of course, to finish off the walking tour, I had to stop at Cafe La Palette, 43 rue de Seine, for a glass of wine and a little rest. Although La Palette doesn’t date back as far as the Impressionist era, it has been a local haunt for generations of art students since the turn of the century. I just wish I’d thought to bring a sketch pad to memorialize it. I guess I’ll just have to go back! The Impressionists’ Paris is a wonderful little guidebook with easy-to-follow maps as well as helpful cafe and restaurant recommendations. 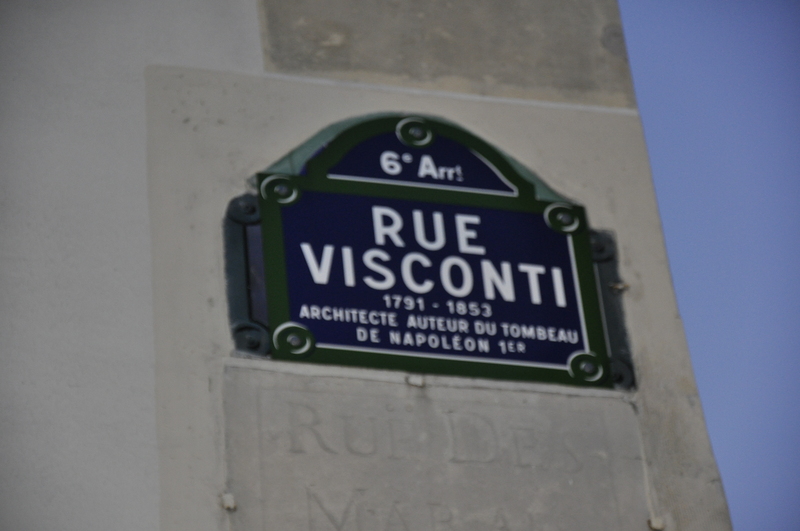 There are two more walking tours in the book besides this one: one for the Montmartre area and one along the Grand Boulevards. Pick this book up at your local independent bookstore and enjoy planning your own trip in the footsteps of the Impressionists. And let me know if you too can sense the ghosts. 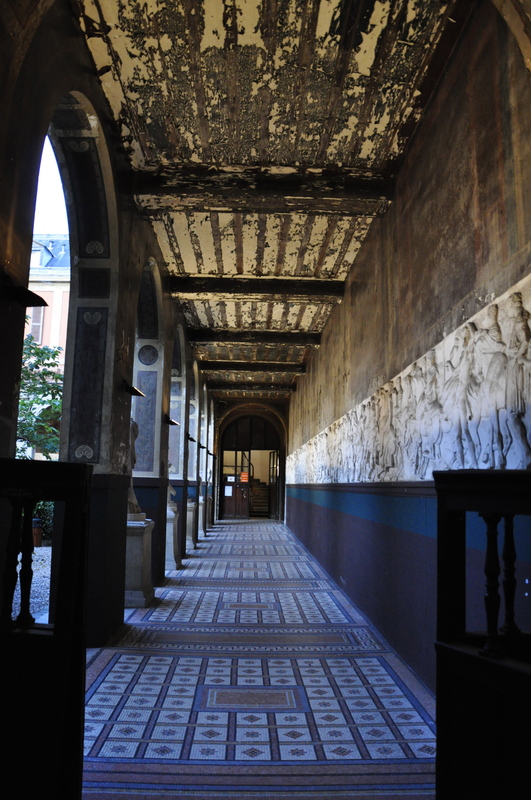 This entry was posted in Art History, Art History Site, Book Review and tagged Impressionists, L'Ecole des Beaux Arts, Paris art studios, Paris walking tour by americangirlsartclubinparis. Bookmark the permalink. After hearing so many good things about this book, it has been collecting dust on my bookshelf ever since I bought it. Thanks for reminding me that I need to take it off of the shelf and use it to do the walking tours!